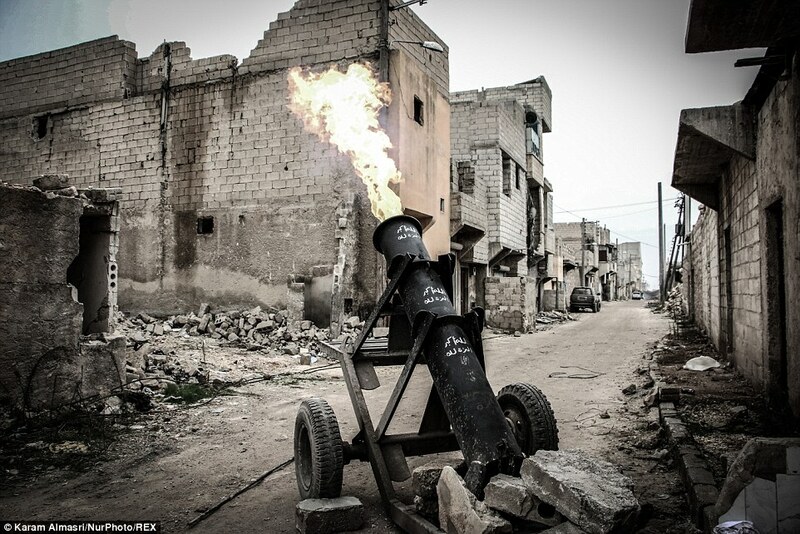 Recent Strange Events Show ISIS May Be Preparing 'Hell Cannons' To Rain Down Hell Upon America - Propane Tanks On Steroids Can Hit Targets A Mile Away! While officials believe Yudesh Ruplal, Shane Ali, Benjamin Curtis and Alexandre Michel Regis were only going to resell these stolen supplies, one Shooter Club commenter mentions galvanized pipe was allegedly stolen while another mentions 10 to 12" sections, threaded, with threaded caps. Bomb making materials or something much worse? The events in North Carolina and Virginia are just the latest in a series of what seem at first to be unrelated events in America recently. With the FBI launching investigations into countless stolen propane tanks and mass cell phone purchases by Middle Eastern men, we're beginning to see the pieces of the puzzle put together that, if allowed to continue, could lead to a devastating sequence of events with severe repercussions in America. 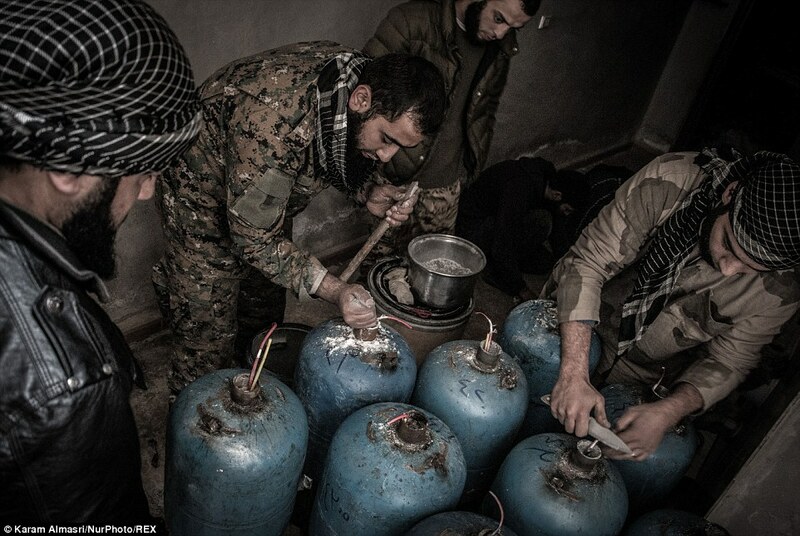 What could terrorists use plumbing supplies and propane tanks for? The pictures in this story gives us one good idea. 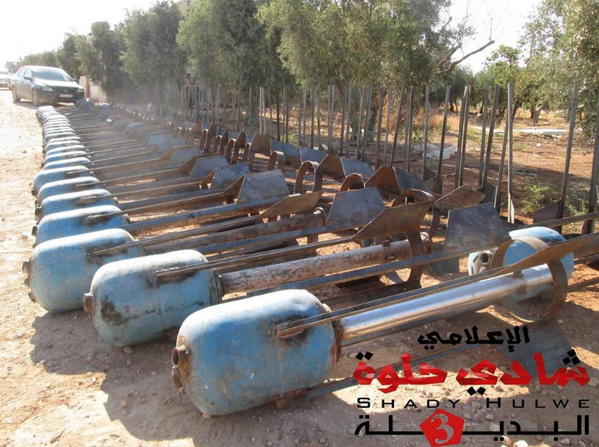 With a major hattip going out to ANP reader Ann Inquirer for bringing this to our attention, we see an ingenious and devastating creation concocted by the Syrian rebels in their fight against Syrian President Assad, propane tanks on steroids, "hell cannons" that can be fired at targets up to a mile away. You can see them action in the first two videos below. 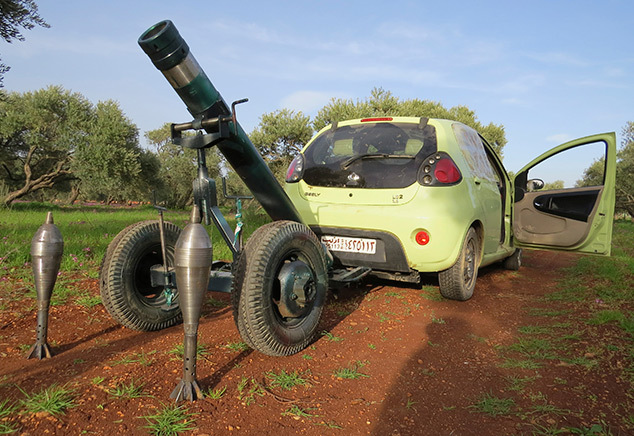 'Hell cannons' have gone from minor nuisances to major threats and as you'll see in the videos and pictures here, can cause an absolutely amazing amount of damage for home made artillery and are extremely deadly. It just so happens that several of the items used in their creation include propane tanks and plumbing supplies, among other materials. Is it just a coincidence that these items are among those recently reported to be stolen by Middle Eastern men in various locations across the country? 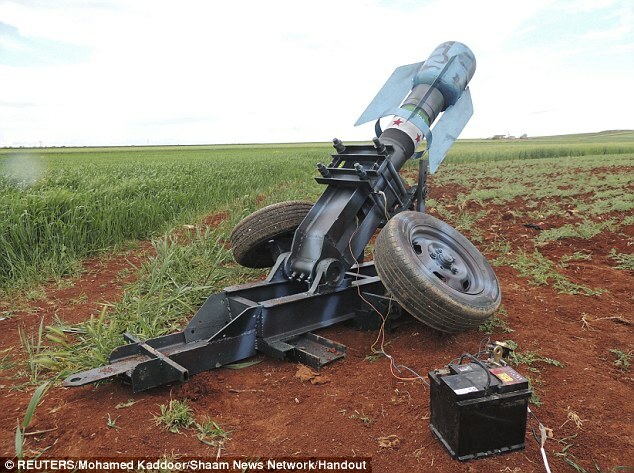 Will all of these recent stolen items by Middle Eastern men in Missouri and elsewhere in America be used to create 'hell cannons' in America to be used against the American people and American infrastructure? Take a look at how easily these can apparently be made in the images here. Automobile? Check. Extra set of wheels? Check. Propane tanks and plumbing pipe? Check. Car battery or cell phone battery? Check. Weapons of mass destruction in the hands of Middle Eastern terrorists on US streets? As Susan Duclos reported on ANP yesterday, we also recently learned of some very strange purchases by Middle Eastern men of Xbox 360 Kinect sensors that left the store owner who contacted us very concerned considering everything else that we've also been witnessing in the region recently. 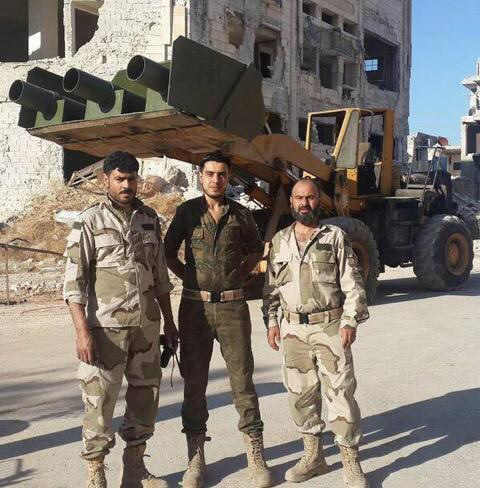 Interestingly enough, the US is believed to have taught the 'moderate' Syrian rebels how to build 'hell cannons' in their fight against Assad. Might 'karma' soon play out in America as terrorists who are here and who hate us use this creation against innocent American people? 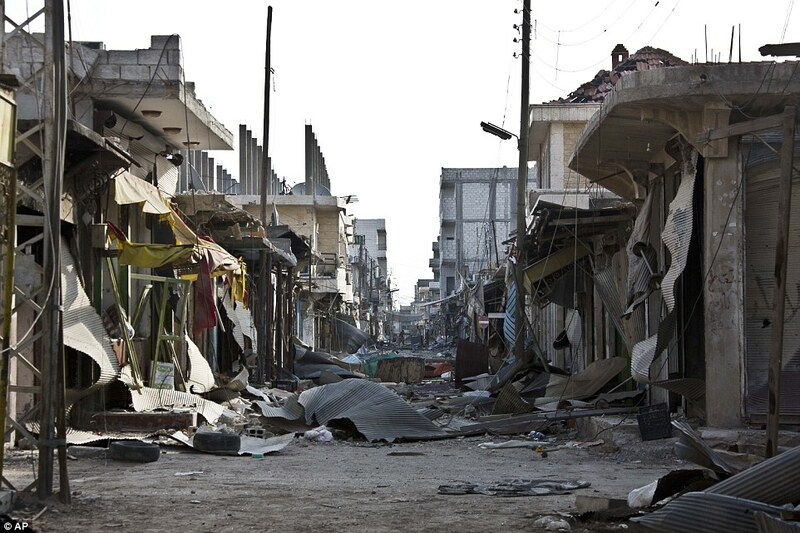 Are we as a nation preparing to reap the same destruction we have sown? Back in December of 2014, the Daily Mail ran a story telling us all about these 'hell cannons', how they're created and the devastation that they can cause. 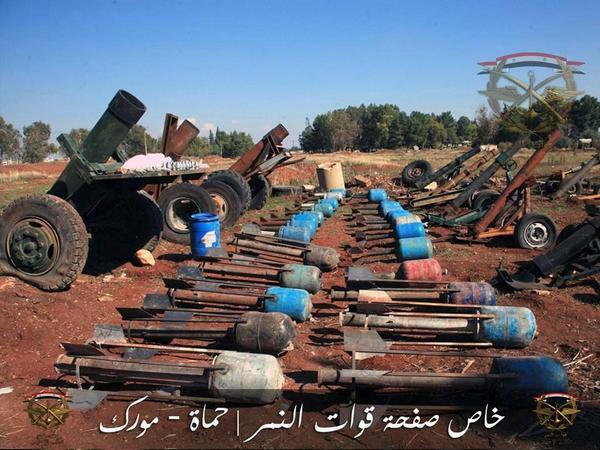 Video reports on these hellacious weapons at the bottom of the story. How many scenes like that seen below left are playing out across America right now? We should all pray that any such scenes to the below left that might now be playing out in America are stopped before they lead to scenes such as below right. Yesterday, we also learned a man from Maryland has been charged by the FBI with supporting ISIS have receiving $9,000 from the terrorist group to carry out attacks in America - how many more 'Mohamed Yousef Elshinawy's are there in America? One of the ISIS militants who was in contact with Mohamed said the money was to be used for 'operational purposes'. How many more 'operations' do they have going in America with the seemingly endless cash supply ISIS has acquired via their extremely lucrative 'oil business'? 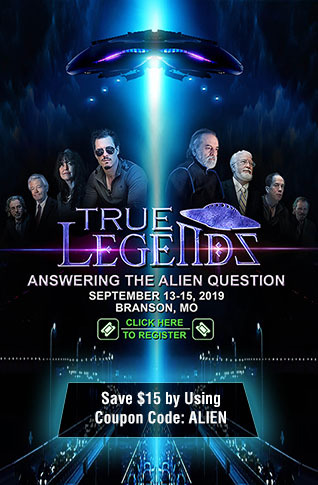 Another possible weapon using propane tanks and cell phones was brought to our attention by Shoebat in this linked story. 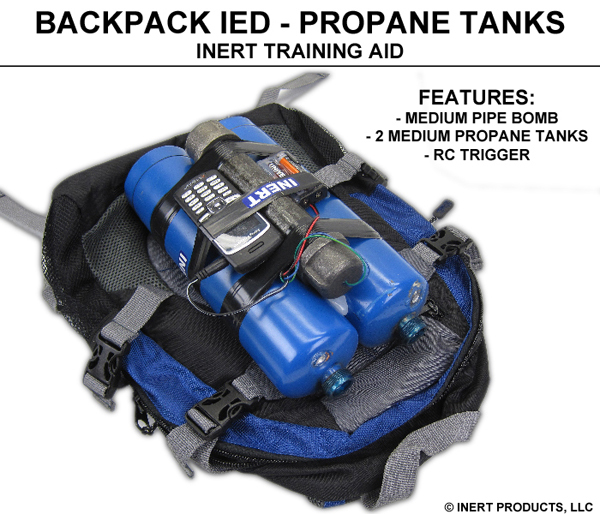 Showing us a backpack IED using propane tanks, just imagine the damage this could cause - with huge numbers of stolen propane tanks and massive numbers of cell phones now in the hands of Middle Eastern men and possible terrorists, is it time to ban propane tanks, cell phones and backpacks, in addition to knives and guns too? Seems to us it would be much easier to just get those who want to kill us out of the country before they succeed. 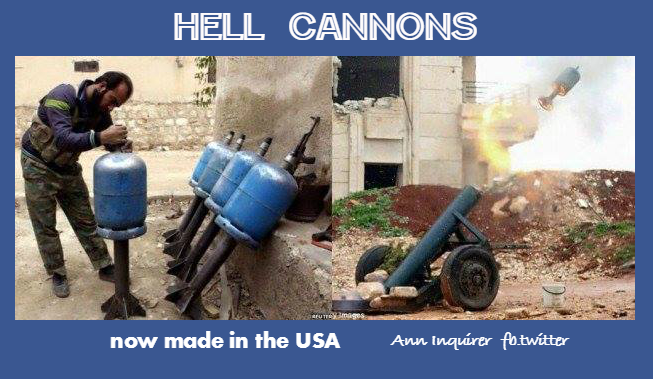 In the 1st two videos below we see a compilation of 'hell cannons' in action in Syria - we should all pray that we never see them in action on the streets of America. In the 3rd video former CIA agent Scott Uehlinger joins USA Watchdog Greg Hunter to talk about the 'alternative reality' that the Obama administration has created. Telling us that Obama knew that ISIS terrorists were selling oil to Turkey we have to ask, why hasn't agent Uehlinger been invited to talk with the mainstream media? Hell cannons have been modified in many different ways as seen below.